Cook, Tim. "Documenting Canada’s Great War". The Canadian Encyclopedia, 03 August 2017, Historica Canada. https://www.thecanadianencyclopedia.ca/en/article/documenting-canadas-great-war. Accessed 19 April 2019. The Great War forever changed Canada. Some 630,000 Canadians enlisted from a nation of not yet eight million, and more than 66,000 were killed. Image: Canadian War Museum/George Metcalf Archival Collection/CWM 19920085-880. The Great War forever changed Canada. Some 630,000 Canadians enlisted from a nation of not yet eight million, and more than 66,000 were killed. 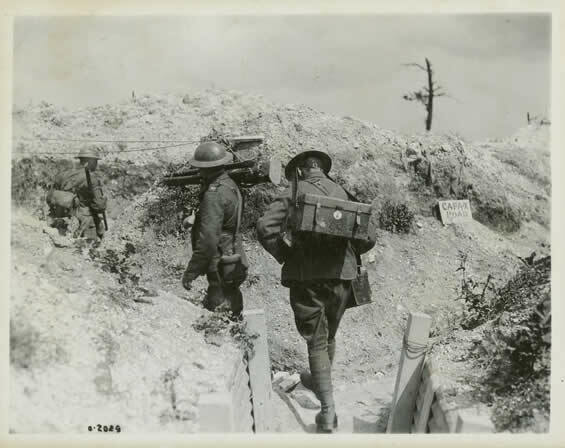 As the casualties mounted on the Western Front, with no end of war in sight, it fell to an expatriate Canadian, Sir Max Aitken, to document Canada’s war effort through an official war art, photography, and film program. The collection of war trophies, both in an official capacity and by soldiers themselves, was another method of forging a legacy of Canada’s war. As a Dominion within the British Empire, Canada was automatically at war when Britain declared war on Germany on 4 August 1914. Yet Canada decided its level of commitment. Thousands of young men initially flocked to the colours. A First Contingent of more than 30,000 was sent overseas in October, and some 400,000 more would follow for overseas service in the coming years. While the Canadian government of Prime Minister Sir Robert Borden scrambled to raise these new formations and units, it gave little thought to documenting the epoch-changing event for future generations. At first, most Canadians felt the war would be over by Christmas. But the terrible fighting on the Western Front soon put paid to that notion, as the armies on the front — Belgian, French, British, and German — were savaged by high explosives and small arms fire. Casualties mounted and the front stagnated as armies dug into the ground to escape the slaughter. For Canadians enlisting for King and Country, most were deeply proud of their service. Newly raised battalions and artillery batteries had their photographs taken in Canada or in England, often in large panoramic views of several hundred men. A few private entrepreneurs even hauled around bulky motion picture cameras to capture the soldiers that marched and fired their Canadian-made Ross rifles at the main training camp at Valcartier, Québec. The role of capturing the service and sacrifice of the new Canadian fighting forces fell to Sir Max Aitken (Lord Beaverbrook). Aitken was born in 1879 and raised in New Brunswick, and even from an early age he had revealed a command of business. By his early 30s, Aitken had made millions in Canada through a series of innovative and shady business deals involving the amalgamation of companies and the sale of their stock. He left Canada in 1910 under the cloud of a potential investigation into acts of corruption that involved watering down stock and pocketing enormous profits. Image: Canadian War Museum/George Metcalf Archival Collection/CWM 20020045-1675. In Britain, Aitken won a seat in Parliament and began to buy up newspapers. He soon became an influential press baron who used his power and newspapers to support his conservative allies — including his friend Winston Churchill, who was serving as First Lord of the Admiralty (political overseer of the Royal Navy) — and destroy his enemies. At the start of the war, the influential Aitken was anxious to serve in the British Cabinet, but no suitable position could be found for him, so he turned to his conservative friends in Canada, Sir Robert Borden and Minister of Militia and Defence Sam Hughes. They appointed him to the newly created role of official Eye Witness, with the rank of lieutenant colonel. When the Canadian Division arrived on the Western Front in February 1915, the Eye Witness soon followed. He began to write about the Canadians’ exploits in weekly communiqués that were widely published in British and Canadian newspapers. After the April 1915 Battle of Second Ypres — where the Canadians made a heroic and costly stand against overwhelming German forces and survived the first use of chlorine gas in the history of warfare — Aitken wrote a history that highlighted the brave deeds of the Canadians. His book Canada in Flanders was an Empire-wide bestseller, and two additional volumes followed. 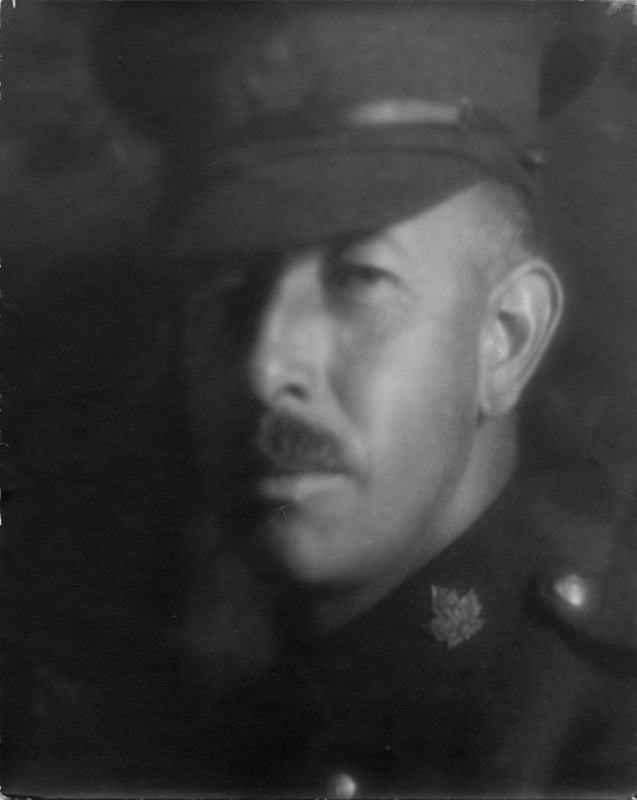 After Aitken’s success in publicizing the Canadians, he used his influence to become, by mid-1915, the Canadian Records Officer, who was responsible for laying “down the bedrock of history.” As three more Canadian divisions arrived on the Western Front, the historical work expanded and Aitken used his considerable wealth to establish the Canadian War Records Office (CWRO). The CWRO sent photographers, painters, and cinematographers into the field to capture the actions of Canadian soldiers for all history. British and Canadian soldiers at the front went largely unrecorded by photographers during the first two years of the war, as the British high command had forbidden front line soldiers from bringing cameras into the trenches. While some Canadians clandestinely snapped pictures using hand-held Kodaks, there remain huge gaps in the photographic record of the early battles at Second Ypres (April 1915), Festubert (May 1915), and St. Eloi (April 1916). When the War Office and the British high command heard that Aitken sought to document the Canadian war effort, they attempted to block him for fear of potential leaks of secret and sensitive information. The influential Aitken would not be dissuaded, and he used his connections to overturn the British rules. By April 1916, Aitken had established an official photographer, Captain Henry E. Knobel, who took powerful images of the Canadians on the Western Front. Knobel’s poor health forced his retirement the next year when he was replaced by Captain Ivor Castle and Lieutenant William Rider-Rider. Starting the summer of 1916, Canadian photographers began shooting more than 6,500images of the stark evidence of the destruction and heroism of the Canadian soldier in the trenches. With the difficulty of taking pictures at the front, some Canadian photographers snapped pictures behind the lines and passed them off as authentic portrayals of the infantry in the front line trenches, ready to go “over the top.” Castle was known to employ darkroom tricks that suppressed images or added in airburst explosions, and sometimes multiple images were pieced together. Despite these manipulations, there are powerful views of mud-splattered warriors treading wearily to rear billets from a front line tour, or of tired Canadian soldiers curled up in fetal position half inside their trench-wall funk holes. In July 1917, over 80,000 visitors paid to see the Canadian Official War Photographs exhibition in London, which further publicized the Canadian war effort. One of the most popular images was an enormous photographic canvas, measuring 22 x 11 feet, of Canadian soldiers storming Vimy Ridge in April 1917. The battle and the photographs would eventually become part of a celebrated Canadian war effort. Combat cameramen also roamed the front and rear areas with their motion picture cameras hoping to document the war in motion. By the summer of 1916, Lieutenant F.O. Bovill, a British artillery driver with some prewar cinematography experience, was embedded in the Canadian Corps. His film of the Somme battles from September to November was powerful and moving, capturing the grim face of battle and the technology of war. Snipers and shellfire disrupted most attempts to shoot the war on film. While Bovill’s footage of the Somme was hailed, he failed to get good material of the Canadians at Vimy in April 1917. Bovill was removed from his duties, and Aitken, recently raised to the peerage as Lord Beaverbrook, used his influence to poach several British cinematographers, including J.A.B. McDowell, Geoffrey Malins, Walter Buckstone, and Frank Bassill. A number of minor Canadian operations in the summer of 1917 were filmed but produced little useable footage, as dust, smoke, explosion, and debris obscured much of the battlefield. In 1918, the cameramen roamed the front and rear areas, but their success was only marginal despite going into harm’s way. Much of the footage remained of Canadian soldiers behind the lines. Despite these difficulties, Aitken’s films were acknowledged as a propaganda coup and generally far superior to Australian or New Zealand footage. By the end of the war, there were two full-length Canadian films, nine shorts and thousands of feet of additional footage. Sir Max Aitken also established an official art program through the Canadian War Memorials Fund. 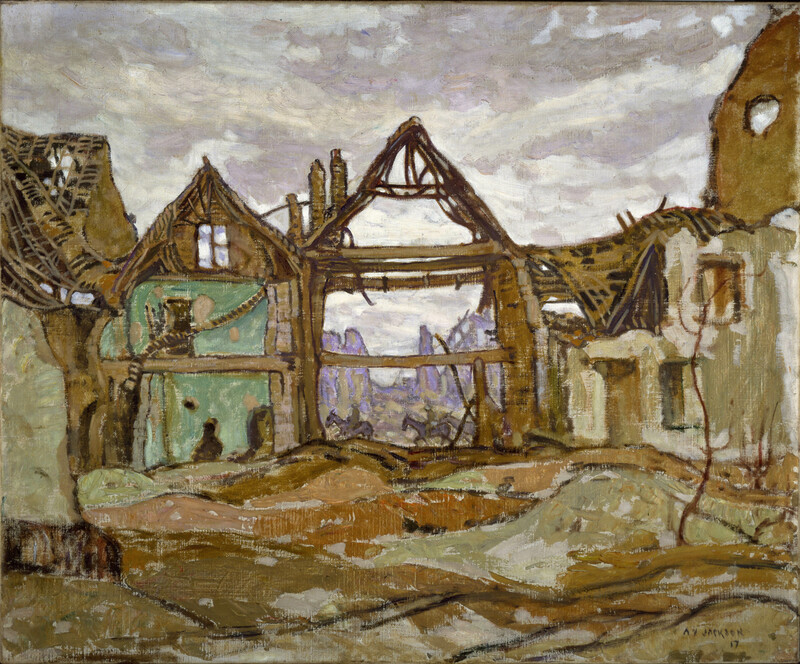 Artists were commissioned as honorary officers in the Canadian Expeditionary Force (CEF), expenses were paid, and paintings were to be exhibited. In return, after the war, the finished works and sketches were to be given as gifts to the Canadian government. Canadians A.Y. Jackson, William Beatty, C.W. 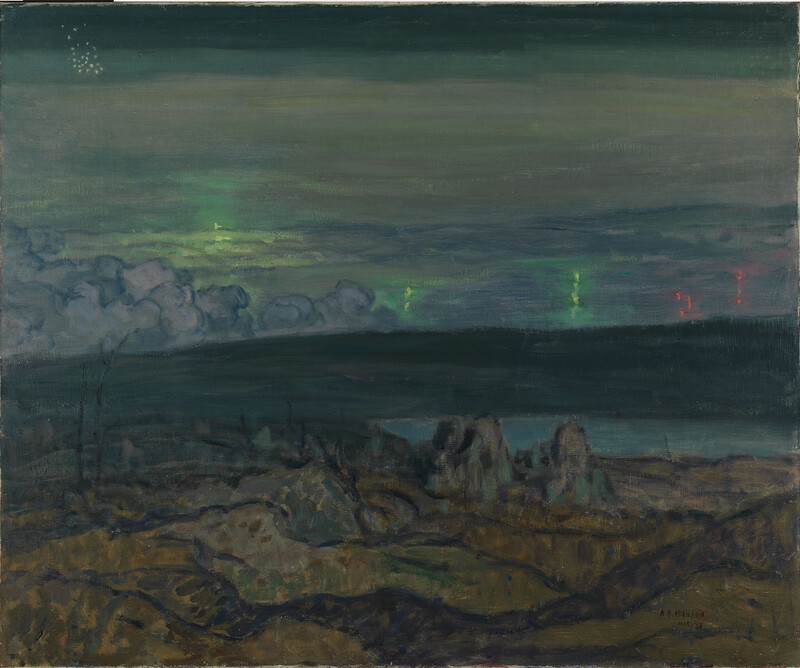 Simpson, Arthur Lismer, Frank Johnston, and F.H. Varley, were among those enlisted to paint the war. This rare opportunity had a profound influence on the artists’ subsequent careers and in the development of Canadian art. (Lismer, Johnston, and Varley, for instance, would become members of the Group of Seven.) Other artists, including Mabel May and Manly MacDonald, were hired to paint and sculpt home front activities: from munitions workers to women toiling in the fields. From the start of the war, soldiers at the front sketched and drew in the front lines. Occasional water colours were completed too. Other soldiers, with experience in metal work or blacksmithing, made what became known as trench art. It involved taking the debris of war, such as shell casings, spent bullets, or other death-dealing objects, and refashioning them into ashtrays, lamps, clocks, vases, and walking sticks. Inscriptions of names and battles helped to personalize pieces that became important souvenirs of the war and later, poignant memory objects. While souvenirs were popular among soldiers, there was also a formal war-trophy-gathering program. Dominion Archivist Arthur Doughty went overseas in 1917 to work with Aitken’s CWRO and British authorities to ensure that official paper military records were being kept for future generations, and that Canada would receive war trophies from the battlefield. The Canadian Corps captured thousands of enemy artillery pieces and guns during the course of its battles, and these tangible representations of victory became important relics for the home front. After the war, 900 German field guns, 4,000 machine guns, 10,000 rifles, and a handful of airplanes were sent back to Canada to be displayed proudly in city halls, churches, libraries, and later, in Legion halls across Canada. 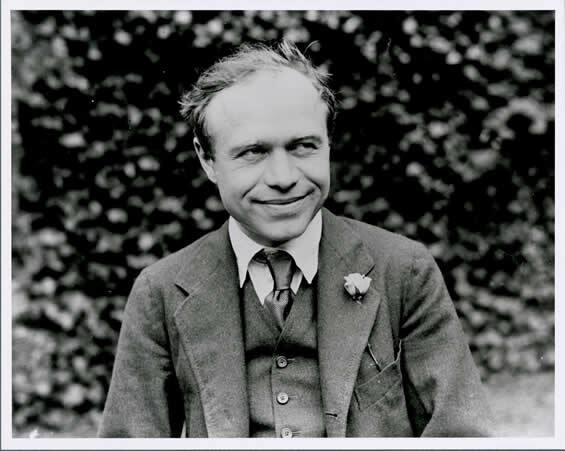 “This strange attractive gnome with an odour of genius about him,” as Lady Diana Manners described Lord Beaverbrook, turned his enormous wealth, drive, and commitment towards building an historical legacy of Canada’s war effort. During the war, the official photographers snapped more than 6,500 images, combat cameramen shot thousands of feet of film, and war artists created over 1,000 paintings, prints and sculptures. 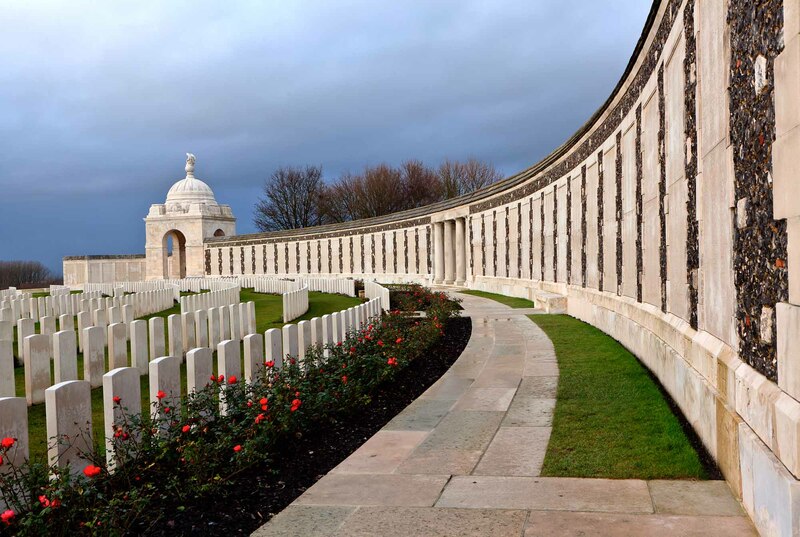 The soldiers, too, gathered souvenirs and manufactured trench art, which formed personal archives across the Dominion. Canadians also left behind graffiti and carvings in trench walls and dugouts, some of which are preserved to this day in the tunnels beneath Vimy Ridge. After the war, Beaverbrook pressured the government to build a war museum for the art collection, even going so far as to spend his own money to hire an architect. The museum never went beyond the planning stage, as various governments in the 1920s struggled with the war’s crushing debt. As a result, most of the photographs, film, and works of art languished unseen for decades, although the official war trophies were displayed proudly in cities, towns, and villages across the Dominion until the early years of the Second World War. At that point, many of the steel guns, mortars, and machine guns were melted down and used again as weapons of war against the Nazis. However, the creation of the Canadian War Museum in 1942, with new buildings added in 1967 and 2005, has allowed much of the material to be displayed for all Canadians. These artifacts of war allow us to understand, interpret, and engage with the long memory of Canada’s Great War.